Taylor Door Co. has been providing garage doors and door opener repair service in Bloomfield and West Bloomfield for more than 30 years. We know what we’re doing when it comes to garage door repair, and we will identify the problem and fix it right the first time. Whether it’s hinges, rollers, springs, gears or cables, we can fix it all! For garage door repair in Bloomfield and West Bloomfield, Michigan, Taylor Door Co. is the only name you need to know. Call us today at (586) 755-6500 to learn more! Call before 11 a.m. for same-day service! Taylor Door Co. has the best garage door and door opener repair service in Bloomfield and West Bloomfield. We offer the best service for the best price, and we always give free estimates. Don’t be fooled by other repair companies that offer free service calls and then surprise you later with hidden fees! With Taylor Door Co., you will never pay more than $300 for garage door repair in Bloomfield and West Bloomfield. You can always count on our friendly repair professionals to get the job done right, the first time, because we understand just how frustrating and inconvenient a broken garage door or broken garage door opener can be. 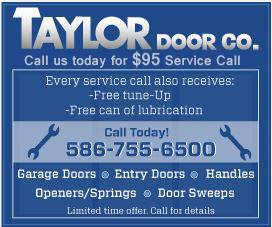 Call Taylor Door Co. today at (586) 755-6500 and never pay more than $300 for garage door or door opener repair! 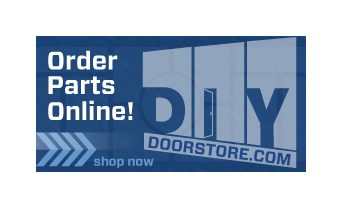 As a member of the International Door Association, Taylor Door Co. guarantees quality, affordable and trustworthy service, always. We charge only $85 per hour for labor, and we promise you will never pay more than $300 for garage door repair in Bloomfield or West Bloomfield with Taylor Door Co. Our service professionals are experts at what they do, and we will get the job done right, the first time. With free estimates and satisfaction-guaranteed service, Taylor Door Co. is the garage door and door opener repair company for you. Call us today before 11 a.m. and receive service the same day! (586) 755-6500. Get Garage Door Repairs in West Bloomfield Today! For the best service, and the best price on garage door repair in Bloomfield and West Bloomfield, Michigan, call Taylor Door Co. now! We promise you won’t pay more than $300, and we always offer free estimates. We are Bloomfield’s premier garage door repair service. Call now at (586) 755-6500!